Since Windows 95, the term virtual has been used to describe aspects of computer system interfaces, to make them easier for users to understand. Creating icons to look like actual folders or files and displaying windows on a virtual desktop, allowed users to relate computer programs and their various components to items in the real world. 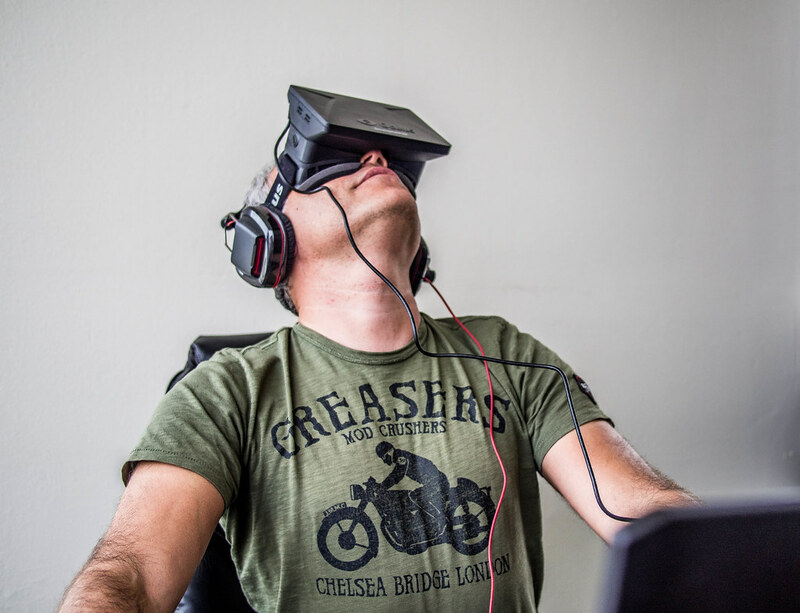 More recently we have seen the term virtual reality (VR) in the media, particularly with the recent purchase of Oculus Rift (a prominent company selling VR headsets) to the social media behemoth, Facebook. In this article we will take a look at virtual reality and the possible applications of this intriguing approach to education. The introduction of personal computers (PCs) brought more computing power to the home market in the late 1980s, which allowed developers in the early 1990s to create games that gave a first person perception of three dimensions. A notable example is ID Software’s game Doom, released in 1993. Although these were dubbed 3D games and presented the user with a representation of a virtual environment, they were still displayed from a two dimensional device, typically a computer monitor or television. This level of immersion was enough to revolutionise the gaming industry, turning it into an estimated $30 billion industry in 1998, which was largely driven by 3D games. Another 3D technology, stereoscopic imagery, is an important aspect of virtual reality that is much older than computer games. You might be familiar with the perception of 3D provided by the famous View-Master based on an invention by Sir Charles Wheatstone in 1838. By using slightly different images for each eye, this process creates the effect of 3D. While virtual reality is a broad term, it is mostly associated with hardware and software technology of 3D gaming in conjunction with a stereoscopic headset. The combination of both technologies greatly enhances the level of immersion experienced, as I can certainly attest after enjoying a virtual roller coaster ride at a recent Australian Virtual Reality Association meeting. While I remained aware, on some level, that it was a computer simulation, the visual and audio experience was enough to give me some of the bodily feelings of motion and adrenaline that I have experienced on real-life roller coasters. [Virtual technology] offers us the possibility of a class meeting in the Amazon Forest or on the top of Mount Everest; it could allow us to expand our viewpoint to see the solar system operating like a game of marbles in front of us, or shrink it so that we can walk through an atomic structure as though it was a sculpture in a park; we could enter a fictional virtual reality in the persona of a character in play, or a non-fictional virtual reality to accompany a surgeon in an exploration at the micro-level of the human body. What an exciting time it is in e-learning!